As a Power Line Hardware Supplier, We know that many buildings have lightning protection belts and lightning rods. There are many problems to be aware of when installing lightning protection belts and lightning rods. If you do not pay attention to these problems, it may not be able to play its due role. First, make sure the lightning rod is straight before installing the lightning rod. In addition, care should be taken to avoid problems such as hanging up when installing the lightning rod. When lifting, the ground must have a person to apply the lightning protection belt to prevent the lightning protection belt from being deformed or caught by the lightning protection belt. The bottom of the lightning rod must be installed with φ12×45 double-cap bolts; the lightning protection belt on the tower body is fixed once by the clamp every 3 meters. The lightning protection belt should be installed straight and not straight. The bottom of the tower is straightened and then fixed, and it is required to be directly welded to the grounding grid. The welding length must be more than twice the width of the base metal. The feeder lightning protection belt is installed on the other main material of the tower. The lower and the bottom of the tower are welded and then welded to the grounding grid. The upper part is installed at the uppermost bracket. The Zhejiang Mobile Triangle Cable Tower generally requires φ8 at 1~1.5 meters below the bracket. .5 holes 6 to 12, the bottom of the tower and the turn of the cable rack are 0.5 to 1 meter upwards and φ8.5 holes are 6 to 12, and if the turning point is less than 2 meters from the entrance hole, the lightning protection belt is in the tower. The upper φ8.5 holes are 6 to 12 holes, and the holes are for grounding the feeder. According to the design requirements, select the best direction for the bracket installation to ensure the effective distance and beauty between the antennas; the antenna pole must be installed perpendicular to the ground, and the horizontal height deviation of the poles should not exceed 5cm. 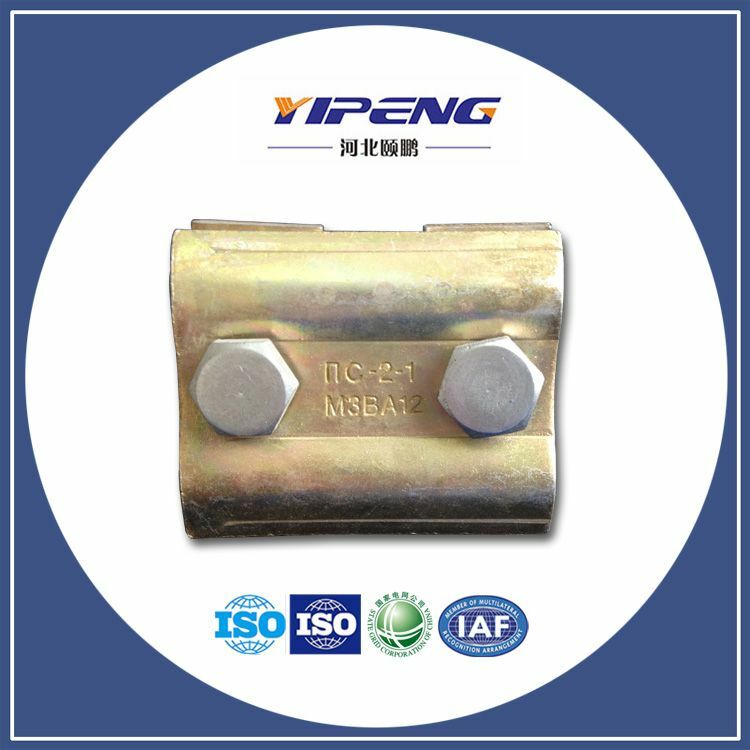 We supply all kinds of electrical accessories, such as the Wedge Type Tension Clamp. If you have demand, welcome to contact us. Previous: What Regulations Should the Lightning Protection Tower Be Installed on the Roof? Next: How Does the Decoration Tower Work Better?